The twenty-four hour tour of duty was just beginning. After radio check the crew of three from the outside satellite station had started their assigned tasks around the house. The officer was cutting the grass, the pump operator checking and cleaning the truck and equipment, and the back step firefighter cleaning the station. Bells and radio signal draw immediate attention, and station details are no longer of importance. The call comes in with two bells and the announcement over the Personal Address speakers “Person in the River,” followed by closest location reported and response assignment. Crews of First Responders head out the door; the closest crew of three arrive on scene where they are signaled by waving arms of the location. Just past the old stone arch bridge the river bends by a grassy field and is bordered by a line of trees and brushy growth, a place where there is a view of the river and shelter from the summer sun. A place where the old man who waved us over had been fishing until a passing pleasure boat transiting the river sighted someone floating in the water. It is a place where a homeless person known to the district fire company and police had been living recently. Years of experience tells the initial crew that it is too late for a rescue. The officer unofficially announces a death over the radio with the transmission, “To all responding companies, this is a recovery, repeat, this is a recovery.” The response continues and the drill is the same as a rescue but subtle sorrow replaces urgency as another pump, ladder truck with rescue boat, command car, police local and state, and ambulance crews arrive. 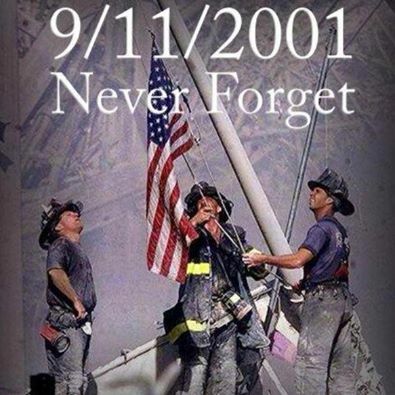 first responders all and the true meaning of 911 where calls for help of any kind are answered and dealt with professionalism and respect no matter who you are, alive, recently departed or those grieving and left behind. The crews set up on shore at the opening as an inflatable life ramp is filled from one of the same air tanks used to breathe at fires; one firefighter in a bright orange Survival Suit enters the water tethered to shore by a colorful floating safety rope, a ‘Go Rescue’. The firefighter moves quickly and without hesitation. He is the first human contact for the victim. Carefully, condition and death are confirmed. The colorful line is delicately placed around the floating man and held together with a carabiner connector. If it were a rescue the firefighter would also be connected and wrap his legs around as the line tenders pull rescuer and victim to shore. The reality of a recovery is now in some waiting as the colorful line connects victim to shore, to the place where he watched the river. Yellow hazard tape is set up around the scene to keep onlookers at a safe distance and to cordon off the scene until state investigator, photographer and coroner’s pickup van arrive. The cause of death, ruling out foul play, and recovery await their arrival. The first arriving responders stand by and stand guard over the man in the water near the river bank. We believe him to be the homeless person. Alone in life, he is now the center of attention and conversation to the onlookers outside the tape. The old man who waved us to the scene has strangely gone back to fishing, not knowing what else to do, as helpless as the victim and first responders without a rescue. The ladder company has checked the shore and river in the rescue boat for other victims with nothing found. The family transiting the river in a pleasure boat is questioned over the same cell phone the 911 came in on. They continue down the river to safe harbor and out to the ocean for the day. The day though sunny and hot is not as bright and warm for any of us who are witnesses, waiting, or standing guard. Who is the man in the water? Center of attention in death, he is tethered to land in a subtle noninvasive way by a lifeline. His life and soul passed probably a day earlier. Troubled spirit lost long before today? Who is he? The water he watched from the riverbank had held him in a cool embrace and protected him from the start of a heat wave which followed violent thunderstorms. Embrace released, he now floats facedown like the lily pads across the river hugging the opposite shore in sunlight. His black sunglasses were found in a private place hidden from sight. Next to the glasses a bottle emptied of cheapest rum. He was wearing tee-shirt and shorts, black belt, white sneakers. He was about the same height as the homeless man who always stayed on the shady side of the river by the grassy field. The line of growth between field and river offered cover and privacy from critical eyes. The First Responders had helped him many times in past weeks. Calls for ‘person down’, had brought them to various locations to help him up, tend to injuries, get some history and give a little pep talk before he was taken to the local hospital—cleaned up treated and put back on the street. –911 responders get to know the regulars, ‘frequent fliers’, they know the present problems and get hints of troubled pasts. The regulars come and go, always to be replaced by another broken spirit standard-bearer. First responders can only help with immediate medical and emotional needs. First responders can not heal broken spirits and find lost souls. But they try! The clues point to the homeless man, the questions remain. The field, wood and river are the homeless person’s companions without judgment or criticism. A place where swans occasionally transit the river, nature in its perfection and the human nature of imperfection in uncomplicated unquestioned connection. Who knows what defeats the spirit? What starts the downward spiral of hope and loss of faith? Why do so many get lost in a bottle, a drug, a bet, abuse and trauma? How the human nature of imperfection can let us think that we can find our spirit in imbibing substances? That we can find solace in anything that brings relief no matter how temporary or futile? Why did the homeless person leave the perfection of nature, walk past the health food store, the coffee shop and go instead to the liquor store? Was his last walk back to his natural shelter, the last spiral down the bank in drunken stupor into the cool embrace of his river? Did he die alone and frightened during the violent thunderstorm? The investigator arrives and agrees with what the First Responders already know. The photographer arrives and takes his pictures of the scene. Both have a tough job in giving some closure and finality to the task at hand. Outside the tape the onlookers, bored, find connection and chatter with others who pass by and stop. They are told to move on, to move back, that this is nothing they want to see. Some of them have their children with them in a place no child should be. They move on but still gawk from a distance so the ambulance is moved closer and in their way. Bored curiosity and open indifference could be better spent. Children should be playing! Did the onlookers care at all when the man was alive? How many times was he told to move on, to be someone else’s problem? To find shelter in nature where questions were not asked and some peace found. The minivan/hearse arrives. The coroner’s body recovery person is a young man wearing shorts, tee-shirt, black belt, and white sneakers. He is so relaxed and casual that his identification is checked. Already too experienced at a ghoulish but necessary job he covers up in a throw away white coveralls suit and the end of the recovery nears. The line is cast to the rescue boat and they move to slowly bring contact with shore. Fire fighters and the ambulance crews grab the rope, belt, clothes and sneakers and carefully move him to a white body bag on the bank of the river. Pictures are taken, it is his tattoo, we cut open his back pocket to remove the wallet, and it is our homeless person, though with loss of life, spirit and soul he bears no resemblance. The bag is zipped up and six of us in procession move his body with care and respect to a stretcher. He is placed in another black bag, zipped in and strapped down to the stretcher. The responders are silent except for the commands to move and the sound of zippers and click of strap connections. He is moved into the back of the minivan hearse and the driver who is dressed the same but for the color of the tee-shirt leaves the bank of the river, drives across the grassy field, by the health food store, coffee shop and liquor store. He carries our once frequent flier over the river across the old stone arch bridge and along the sunny side of the river to highway and mortuary. The rescue boat crew follows the river back to the launching point and return to service as a Ladder Truck Company One. The onlookers disperse and all but the initial crew move on to other calls and duty. The first due company removes the hazard tape and retrieves the colorful lifeline. First to arrive are often also the last to leave. They return to quarters and the details of fire house keeping, cutting grass and mopping floors, checking equipment to ready for their next call, the next run out the door. We know from past calls that he is from the same neighborhood. We know he once owned a house in another town and lost it. He grew up not far from the river. He lost home, house, business, jobs, cars and license. He made and lost friends family and connections. He played ball on the grassy field as an adolescent, hung out as a teen. He returned to his old neighborhood because he did not know where else to go. He returned for the memories of that childhood to teen home as a lost adult. Lost in a river of troubles he ended up in the water’s cool embrace. He found fleeting relief in a bottle but no answers. He slowly buried his spirit long before he became homeless. His troubles were just the marking posts of the loss. Will the trees, field and river remember his passing? The river flows to safe harbor to ocean where it is freed to be part of the whole. From the ocean waters clouds rise and become rain. The lake fills drains to the river that flows by the shore. It washes a wooded bank by a grassy field. The rain splatters on lily pads as swans seek shelter where a boy played and a homeless person lived. The water carries a spirit and soul to find restful peace. Who Is The Homeless Person? The person is Everyman, who everybody knows and everyone has inside. He is in every family, in every town, village and city. He is everywhere we go. He is us! He is the homeless guy, the alcoholic, the druggie, the lost soul, the village idiot, the gambler, the abused and the abuser, the trauma and the tragedy. He is your neighbor, your friend, your partner, your spouse. He is the human being, the spirit, the soul, the body, the connection to us all, to the whole that we are all a part of and he is everyman. He is everyone who can see, feel, and care for the nature of it all. He is hope, faith, love, charity. He is connection, communication, caring, empathy, sympathy and warmth. He is commitment and truth. He is all of us and he is a broken spirit and a lost soul without us. This entry was posted in Informational Essay, memoir, Writing and tagged 9/11/2001, 9/11/2001 Tribute, Captain Ken's Cloud, feelings, Firefighter, First Responder/EMS, Ken Pothier, Life, relationships, sorrow, Survival, writing. Bookmark the permalink.